This installment began with me giving out a homework assignment that will be used in next week’s episode. Make sure to find a $1 bill and put it in a safe place and don’t touch it until I tell you what to do with it next week. I then proceeded to give you a 5 minute history lesson on Thrift. I briefly discussed how the Puritans brought the virtue of thrift to America and how it was an integral part of our culture until after World War II. 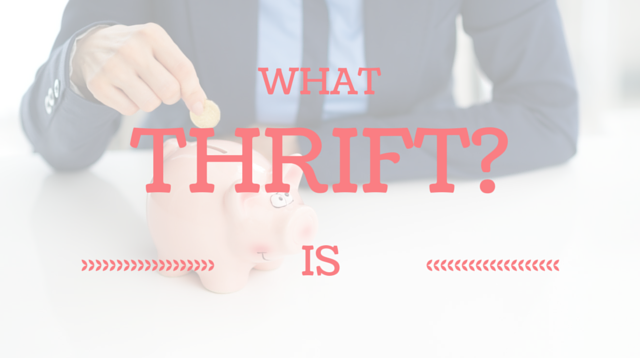 The remaining portion of the installment was spent discussing the four tenets of thrift: Contentment, Stewardship, Industriousness, and Frugality. These four foundations are the basis of everything I will discuss as we move forward with this podcast. There will be many times that I refer back to this episode in future installments. Enjoy and don’t forget to find that $1 bill and put it somewhere safe until next week. IF you happen to be listening to this podcast in the future and are catching up, let me encourage you to wait a few days between this installment and the next one.